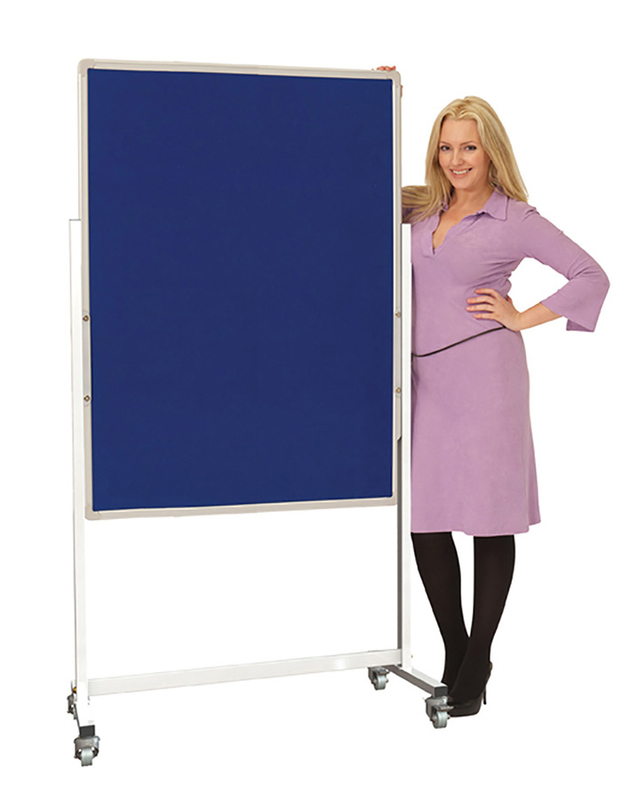 This mobile notice board in portrait orientation has a sating silver anodised aluminium frame with locking castors. The board is covered both sides with fire rated felt which is suitable for use with pins and staples. There are 4 colour choices - red, green, blue and grey and 2 sizes available. Our photo shows the notice board in the high position but the board can be flipped and re-attached to a low position giving 210mm of adjustment.